A great way to bring freshness to a favourite jacket is the simple addition of a pretty pocket square. We have an ever changing eclectic mix from very fine lawn mosaics to Indian cottons and wool/silk traditional patterns created exclusively for the haberdashery. 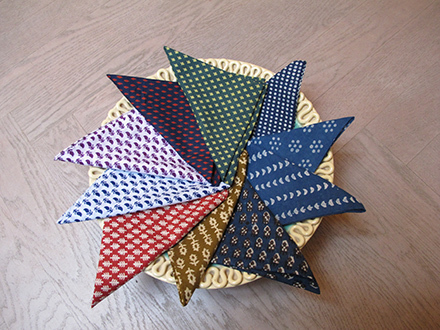 New pocket squares come in every week and we would be delighted to show them to you. For far away places with strange sounding names.